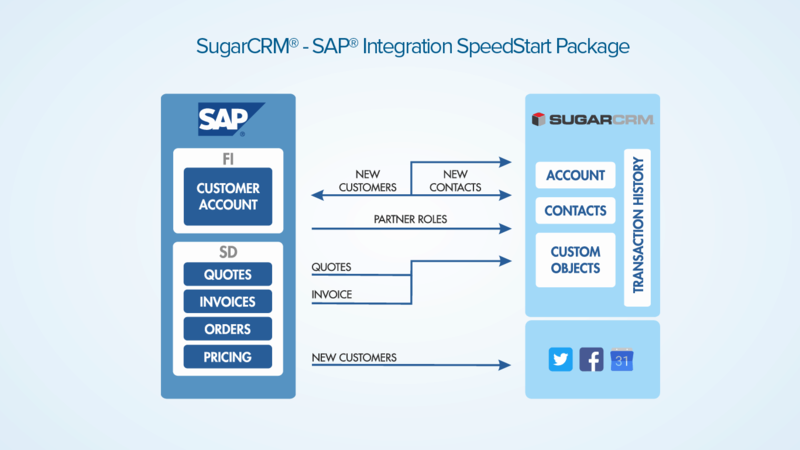 Integrate Sugar and SAP in just days with Magic xpi’s out-of-the-box SpeedStart package. The pre-built template gives you a headstart with integrating common SugarCRM and SAP scenarios, including customers, contact, sales orders, quotes and invoices. 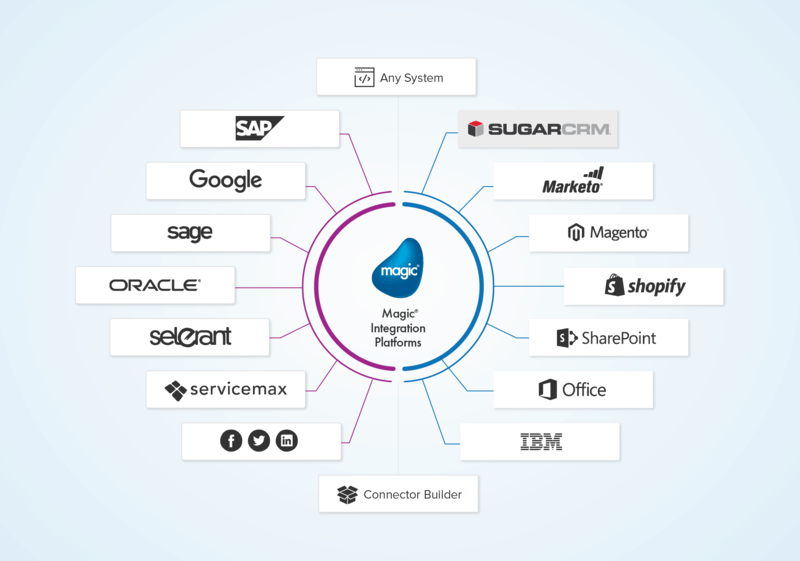 Achieve maximum operational and sales efficiency, business intelligence, and innovation by extending your Sugar CRM capabilities with the help of Magic xpi. You can seamlessly integrate your data, business processes, and enterprise applications including SAP, Microsoft, SYSPRO, Sharepoint and more.